Here’s a look behind the scenes as it relates to how we went about creating the new gear and clothing. Technology has improved to the point we can 3D scan our objects and get them in game in a truly authentic fashion. 3D scanning has allowed for an undisputable shape in our updated player gear and given us ability to capture the natural flow of clothing wrinkles and body shape with ease. In today’s NFL, there’s a wide range of gear seen on the field, both for players and coaches. Getting that gear into the game for our fans to see and use is something we’re excited about bringing to Madden NFL 17. Player and coach gear has been refreshed to further the immersion into the most complete Madden ever. Not only did we add all new licensed gear from NFL-approved equipment providers, but we also updated a lot of existing gear – both using our latest equipment scanning technology. As the pros say ‘Look good, feel good, play good’. Madden NFL 17 on Xbox One and PlayStation®4 brings even more authenticity to Broadcast Presentation this year. From the beginning sequence of heading into game you will notice the “rock concert” feel that you see so often on real NFL Broadcasts. I once asked a friend if he was looking forward to the next Madden NFL, as he is a huge Raiders fan. He told me he can’t play Madden due to vision problems; he couldn’t see anything that moved quickly and was small – like the pass icons. I decided that if I ever had the chance, I would try to improve the game so a wider audience could play Madden. A couple years ago, Tiburon had an internal game jam to brainstorm new ideas. I took my accessibility research and put together a concept list. Madden NFL Game Accessibility won as the best new feature set. Here’s what made it into Madden NFL 17 on Xbox One and PlayStation 4. All accessibility settings in Madden NFL 17 are available on the “Visual Feedback” screen, via the “Settings” menu. These new options are all at the bottom of the list; you’ll go directly to them if you hit “up” once. All settings are optional, and your online opponent will not see whatever settings you have chosen. In order to add a deeper level of immersion on the field for Madden NFL 17 on Xbox One and PlayStation®4- we took a new approach to sound design in-game. In order to achieve this, we turned to Foley – a technique in which every day sound effects are added to the game to enhance the audio quality. The technique is named after Jack Foley, who established the basic modern techniques still used today. 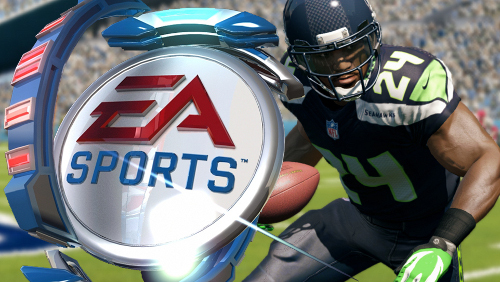 The Madden NFL 13 presentation team had some lofty goals this year. World Class presentation was No. 1 on their list. Everything that has been done in the past has been taken to the next level, as the new broadcast team of Jim Nantz and Phil Simms comes to life, making it look and sound as realistic as possible. The new Connected Careers mode (details coming June 4) wouldn’t be complete without them, keeping the presentation realistic. With the new broadcast package, a fresh new user interface has been incorporated. The new main menu UI features tiles of live dynamic content, pertinent to your experiences. As each tile is highlighted they will change color and animate. The system has a very modern look, similar to a few things you may have seen on Xbox Live and iOS devices. The Play Now tile will suggest a division rival, after selecting your favorite team. Team select screens will now show team logos, instead of players from their respective teams. In-game presentation has been beefed up with a new HUD, showing off the starting lineup, updated player stat banners and more. Hey Madden NFL fans, this is Casey “BuckeyeNation” Mosier, Community Leader and Lead Content Producer for Dynasty league Gaming and DLGtv. I am also a member of the EA SPORTS Game Changer program and an attendee at the Madden NFL community events at Tiburon studio this season. 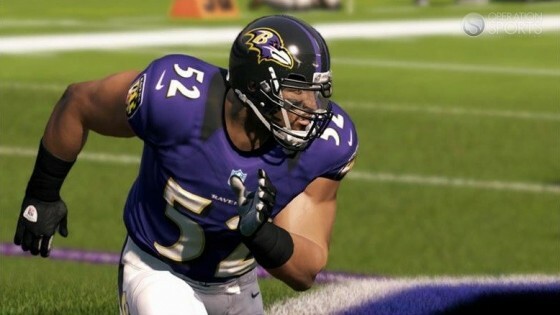 As a representative for many of you in the Madden NFL community the team at EA SPORTS Tiburon studios has asked me to let you in on some of the new presentation features you will see in EA SPORTS Madden NFL 13. In the past, I have always gotten the chills of excitement when putting the Madden NFL disc into my console for the first time each season, this year those goose-bumps are going to another level. From the time you first boot up the game, whether it’s the hard disc or download via EA SPORTS Season Ticket, you will see all new presentation features from start to finish.